Tens of thousands of people claiming the main benefit for long-term sickness will no longer face repeated medical assessments to keep their payments. 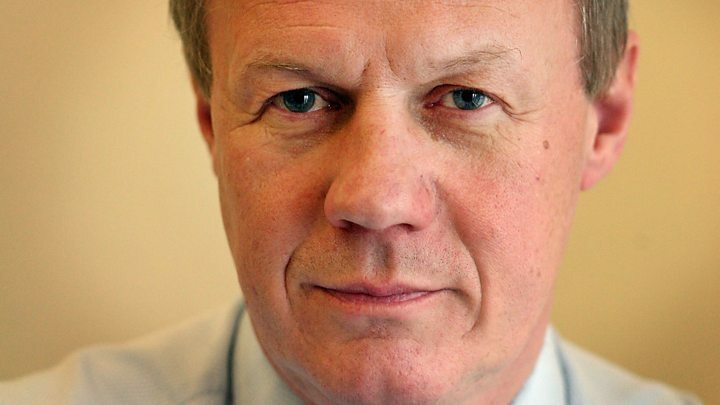 Work and Pensions Secretary Damian Green said it was pointless to re-test recipients of Employment and Support Allowance (ESA) with severe conditions and no prospect of getting better. More than two million people receive ESA, which is worth up to £109 a week. The move has been welcomed by charities supporting those with severe illness. Michelle Mitchell, head of the MS Society, described it as a "victory for common sense". Shadow work and pensions secretary Debbie Abrahams said it was "a welcome U-turn" by the government, but "the devil was in the detail". "What about mental health conditions, conditions that are fluctuating, conditions that may not necessarily have a physical manifestation?" she said. Applicants for ESA have to undergo a work capability assessment to find out if they are eligible and they are re-tested to ensure their condition has not changed. Some are re-tested every three months and others up to two years later. Under the government's change, those who are deemed unfit for work and with conditions that will not improve will no longer face re-testing. Conditions such as severe Huntington's, autism or a congenital heart condition are among those that are likely to qualify for continuous payments without reassessment. The criteria will be drawn up with health professionals. Mr Green said a "key part" of making sure those who were unable to work received "full and proper support" included "sweeping away any unnecessary stress and bureaucracy". The measure will be formally unveiled at the four-day Conservative Party conference, which begins in Birmingham on Sunday. Andrew Grantham has claimed ESA for seven years and told the BBC having to be reassessed was frustrating and annoying. "I've had MS since 2006... it's chronic, fluctuating and the only guaranteed thing about it is that it will get worse. "I've had three assessments and I will have one next year. The first time, I was found fit for work and I had to go to a tribunal. "The other two assessments, I had some really good medical evidence from my dedicated nurse and I was found not fit for work. "These assessments are stressful for people because they don't know which way it is going to go. There is also a chance that you lose your financial security and you are told that you are fit for work and you have to look for work." Mr Green told the BBC: "If you have got a condition that has made you unfit for work and which can only stay the same or get worse, I think it is just pointless... to just bring someone back again. "It's the severity of the condition that matters, because indeed there are some people with MS... that can work, but we know that it's a degenerative disease so there will come a point when it may well be that they can't work. "After that it seems to me that re-testing and reassessing them doesn't do them any good - it might induce anxiety and stress in them - and it is also not doing the system any good because it is pointless." Currently, those in the "work-related activity group" - deemed unable to work at the moment but capable of making some effort to find employment - receive up to £102.15 a week in ESA payments. Those in the "support group" - deemed unable to work and not obliged to do anything to improve their chances of finding work - receive up to £109.30 a week. However, ministers remain committed to a cut to be introduced next April in the amount of money that some new recipients of ESA will receive, BBC social affairs correspondent Michael Buchanan says. From April 2017, payments will fall to £73 for new claimants in the "work-related activity" category as ministers argue that too few people in the category are moving into work. Former Work and Pensions Secretary Iain Duncan Smith, welcomed the "progressive" reform to the re-testing regime, which he had set up when in office. "I hope that the government will... move on to the fuller reform... where we lock together with the health department much more to be able to get a better health assessment of people, rather than a just strictly work assessment." Tim Nicholls, policy manager at the National Autistic Society, said ESA was a vital benefit for those unable to work, covering basic daily living costs such as food, heating and clothes. "The flawed assessment process can be highly stressful for autistic people who can experience high levels of anxiety meeting new people or when their routine is broken, particularly when the stakes are so high," he said. "We will be looking out for more details from the government." Keran Bunker, an ESA claimant who is on the autistic spectrum and has ADHD, told the BBC that the change would make people "fear trying to find employment". Mr Bunker said he would fear taking a job which he might lose later because of health issues, only to then have to return to the lower level of benefit.